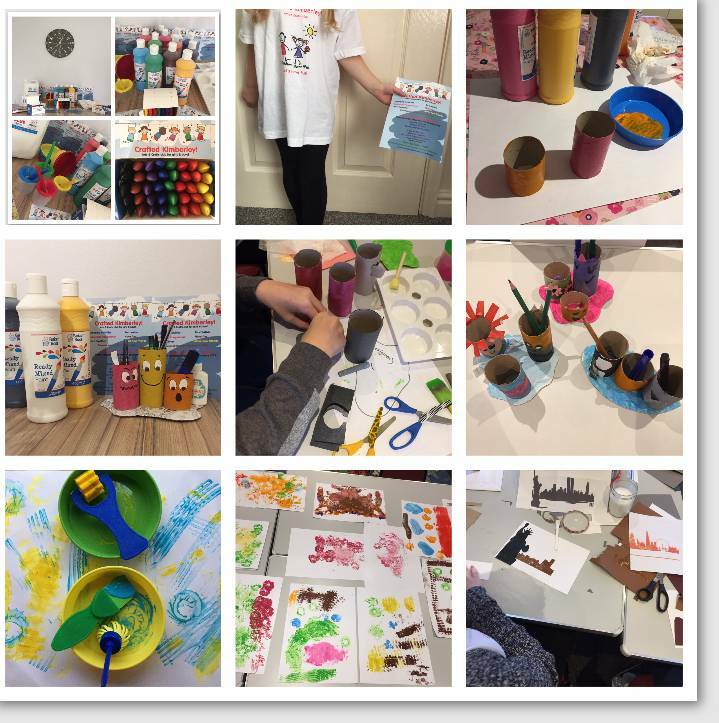 Crafted Kimberley is an Arts & Craft club for children from 3-12 years old (2 year olds also accepted). We run the club on a Saturday in two sessions 9:45-11am & 11:15-12:30pm! We opened the club because basically we just enjoy crafting & making a mess. We love to see children laugh and having fun! It is a relaxed and happy atmosphere to encourage all children to develop their social, coordination, communication & fine motor skills! It also encourages speech and language. We have already recognised the confidence growing in the children that come to the club! We feel like it is becoming a family and we are all getting to know one another and building lasting friendship for years to come! If you feel like your child would enjoy this positive experience and have fun please drop me a message, we’re on Facebook and Instagram plus my phone number is on the flyer! We hope to see you there! Love all the team at Crafted Kimberley! Contrary to the diary information, Rumbletots will not be meeting on Christmas day. We did however have a great Christmas Party with a very exciting visit from Santa Claus. Rumbletots will be back in the New Year on Tuesday 8th Jan. Parents and Carers are all welcome to this fun and lively group. We meet from 1 -3 every Tuesday term time. It will be a great night! We would just like to take this time to wish you all a very Merry Christmas and a Happy New Year. Thanks for all your support through 2018. Firstly October / November were busy month for fundraising with several events fundraising for Rumbletums. Many of you will have joined in and enjoyed the fun. Many thanks to Mike Baldwin for a very entertaining evening talking about his experience building show gardens. Also thanks to Roots micro pub in Kimberley who hosted a very successful fundraising night. 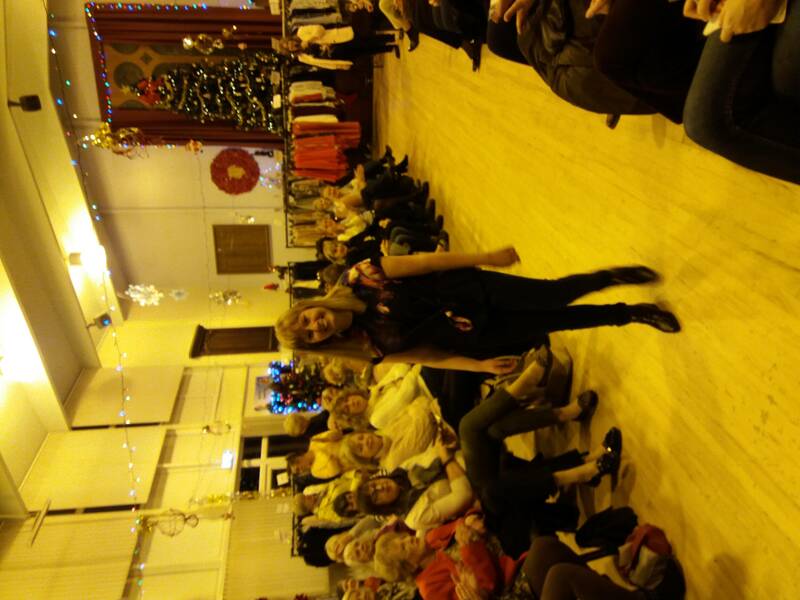 Trevor Rood scooped Santa’s little helper award this year at the parish hall, pulling out chairs for the fashion show which was packed to capacity raising funds for Rumbletums. Just to say a huge thank you to those who organised, catered, sold tickets and manned events. We really appreciate that you’ve given so much time and effort to the cause. For those of you who don’t know Kimberley Jam is a charitable Trust which exists to raise funds for local causes. They have host regular events throughout the year through which they fundraise for local causes. 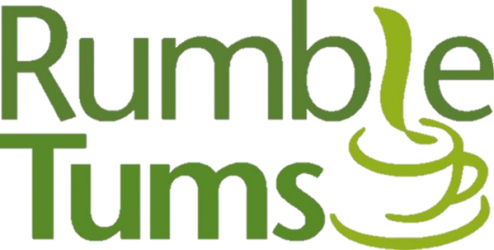 They have kindly offered to promote Rumbletums in their fundraising events this year. You can follow their Facebook page to see what’s going on in Kimberley in the coming months. The other major development of our fundraising campaign has been the ongoing work of Jeff Buck applying for grants from larger donating bodies such as the National Lottery. He has been pleased by their positive response and we have successfully gone through to the second round with both the National Lottery and Power to Change awards. Many thanks to Jeff for his hard work achieving that. What a great night! 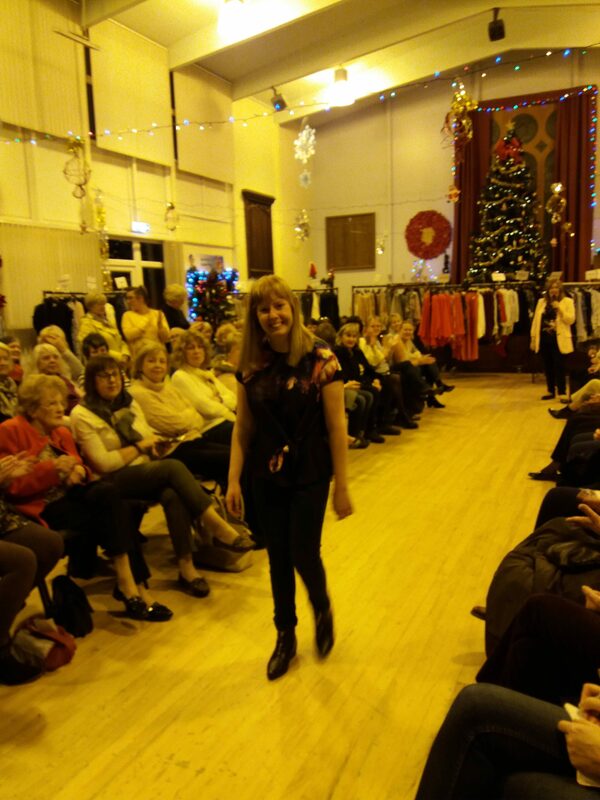 Models from Rumbletums showed off current fashion to the lovely audience filling the Parish Hall, who enjoyed a glass of Prosecco before turning their attention to the business at hand. Many thanks to Stevie and Lynne for organising such a great event in aid of Rumbletums. Thanks also to helpers, SOS fashion shows and Trevor, who decorated the hall beforehand. See you all soon at the Christmas Lights Switch on! 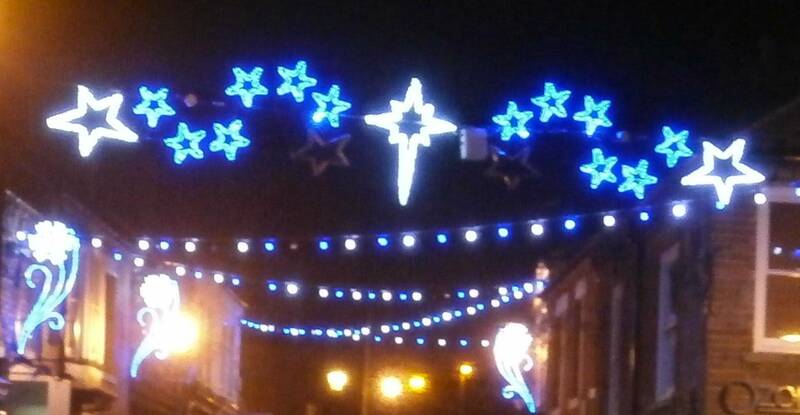 We’re all looking forward to another Kimberley Lights Switch on here at Rumbletums. 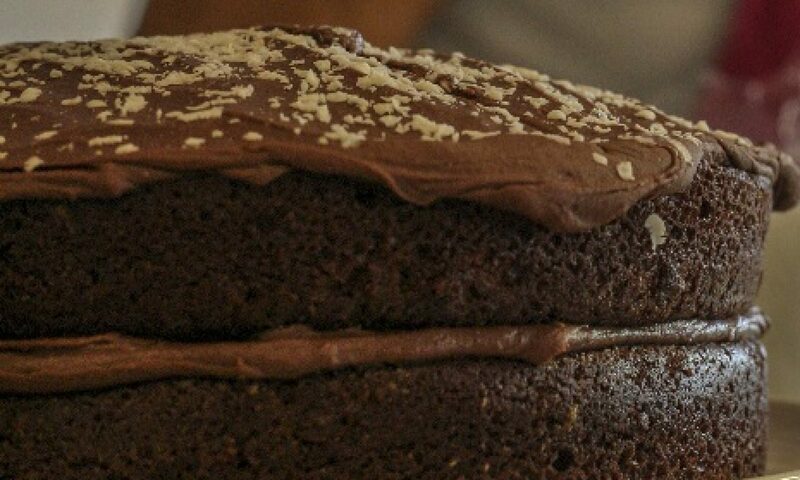 The café will be open from 5.30 – 8.30 selling hot drinks and a selection of cakes and snacks. This year we will also be selling our amazing Christmas Cards at the parish hall along with some beautiful knitted craft items. 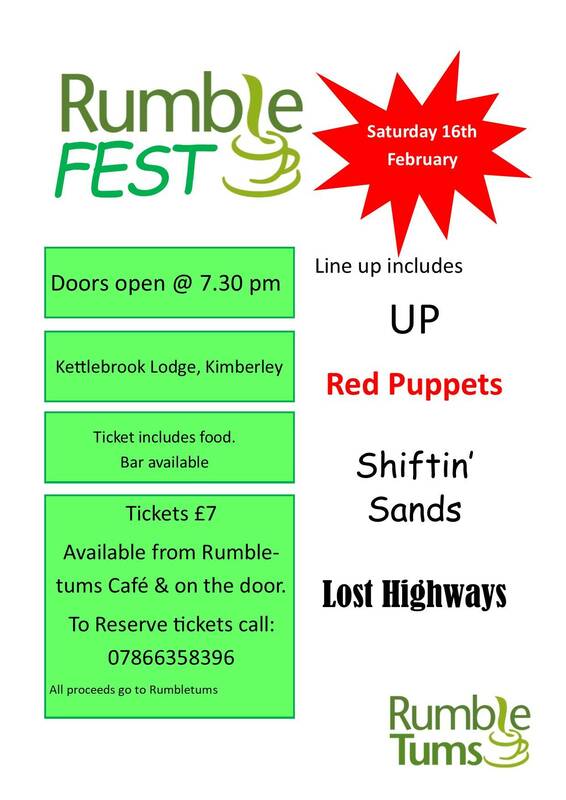 Why not join us there and support the work of Rumbletums Café. Many thanks to Mike Baldwin for a delightful evening full of anecdotes and interest as he took us on a tour of his show garden career. H.R.H Prince Philip apparently doesn’t like Rhododendrons! Lovely canapes and cakes prepared by the Rumbletums team gave everyone plenty of brain food at half time. Keep checking to see what events are happening to support Rumbletums.